Pet Pageants are special quests that will become available through the restoration of the Park. To take part in the Pageant, click on the manager's icon, in the lower right corner. In the Pageant window, you can see which Pets can participate in the current contest. 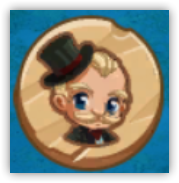 If you have at least one Pet from the list, it will receive Beauty Points of the Pet Park as a reward! To find out how many Beauty Points your pets have, look in the upper left corner of the screen. In the park there are held various Pageants, so do not worry if none of your Pet were able to participate in the current! Just wait for the next Pageant - the competitions are held every 12 hours (or 6 if you have Premium). 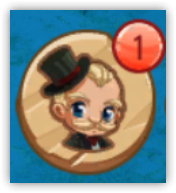 When a new Pageant appears, its icon will change. Thus, you do not have to check every time whether a new Pageant is available.